Detailed guide on How to Tweak Android Imei Number without the use of a PC, Also this guide will help you to tweak your Imei even without rooting your android phone. Disclaimer: Note that changing of phone Imei number is illegal in some countries so as to reduce crime rate therefore don’t hold me responsible for any assault. 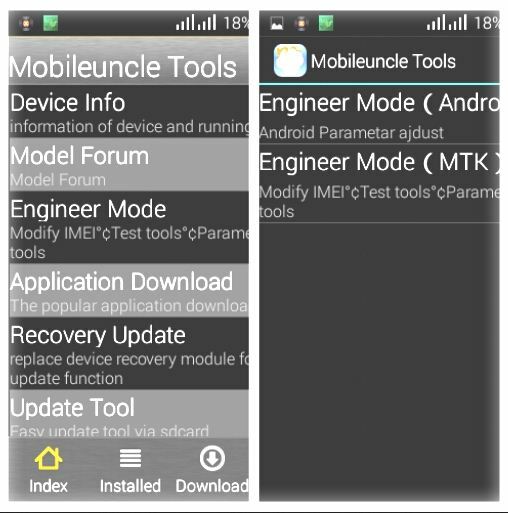 To check your old Imei number dial *#06# on your device then copy the 15 digit number in a save place. Then the next page swipe from right to left or click on Connectivity then click on “cds information” , After that click on “Radio information” The next page will tell you to select “phone 1/( SIM 1)” or “phone 2/( SIM 2)” click on any of your choice. I will be using Phone 1 in this guide. 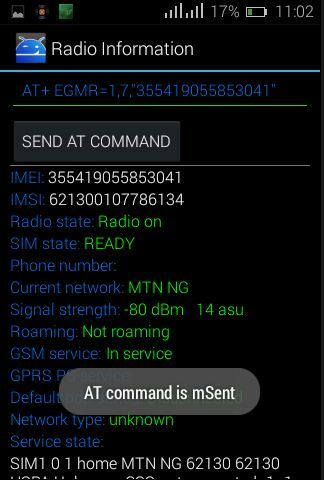 At the provided space is “AT+” don’t delete it, then type this code at the front of AT+ EGMR=1,7,”Your Imei Number” ****The code will now look like this AT+ EGMR=1,7,”358********” then click on send AT command, note that there should be a space in between AT+ and EGMR to get successful message, If it’s successful a pop message of “AT command is Msent” will be shown. To verify if your Imei is changed successfully just reboot your phone or put it in an airplane mode and switch it on back then dial *#06#. CHANGING ANDROID IMEI ON A ROOTED PHONE. 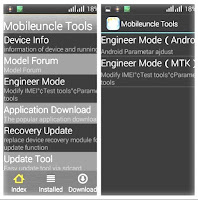 There are some super strong devices that doesn’t adhere to the law of Mobile Uncle Tools, this kind of phone exists among the likes of 5.1, and 6.0 OS Version therefore you need to root this kind of device before considering to change the Imei number. This works very easy and is faster than using mobile uncle tools. Grant the chamelephon root access Notice: the ox came in a box of Sim 1 and Sim 2 both showing a super transparent Imei that was preinstalled with your android phone. Type in your wished IMEI number to any of the provided box and click Apply. The next page will bring out a Successful reply, kindly switch off your phone or better still Switch your phone to flight mode and Off the flight mode then dial *#06# to validate the Imei number you just switched to. am gonna try it out and drop back my positive feedback.